Who Is Katherine Langford Playing in 'Avengers 4'? Who Is Katherine Langford Playing in ‘Avengers 4’? 13 Reasons Why breakout Katherine Langford joined Marvel Studios’ Avengers 4 in an unknown role, it was revealed Friday. As confirmed by The Wrap, the 22-year-old Golden Globe-nominated actress already filmed her scenes on the top-secret Avengers: Infinity War sequel. Marvel had no comment on the casting and Langford’s role is the latest mystery to emerge out of the Anthony and Joe Russo-directed project that wrapped filming earlier this month. 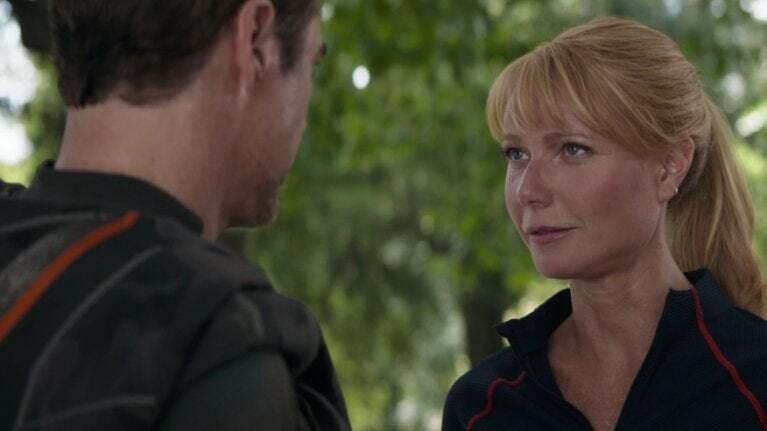 Details surrounding the latest Avengers are so scarce even star Mark Ruffalo, who plays Bruce Banner-slash-Hulk, is unsure which direction the film will take as it closes out the first 11-year chapter of the Marvel Cinematic Universe. “We don’t even know what it’s gonna be yet,” Ruffalo told The Marvelists podcast before returning to the set for reshoots in September. The Russos said previously they expect to be in post-production on Avengers 4 throughout the fall and winter and hope to finalize the film in March, well ahead of its May 3 release date. 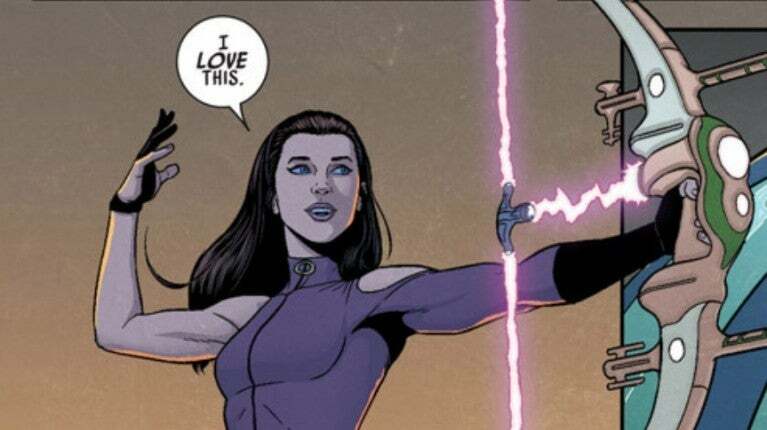 Langford could be playing Kate Bishop, who in the Marvel comics was a gifted archer and daughter of socialites-turned-vigilante when she joined the Young Avengers, a team comprised of mostly teenaged superheroes who first assembled to combat the machinations of time-traveling supervillain Kang the Conquerer. Bishop adopted the codename Hawkeye from famed Avenger Clint Barton, who at the time was dead, having been killed by fellow Avenger Scarlet Witch when she experienced a mental breakdown during the Avengers: Disassembled event. After his eventual resurrection, Barton operated for a time as the samurai-like crime-fighter known as Ronin. It was at this time Barton encountered the new Hawkeye, a mantle adopted by Bishop as a means of honoring the fallen Avenger. 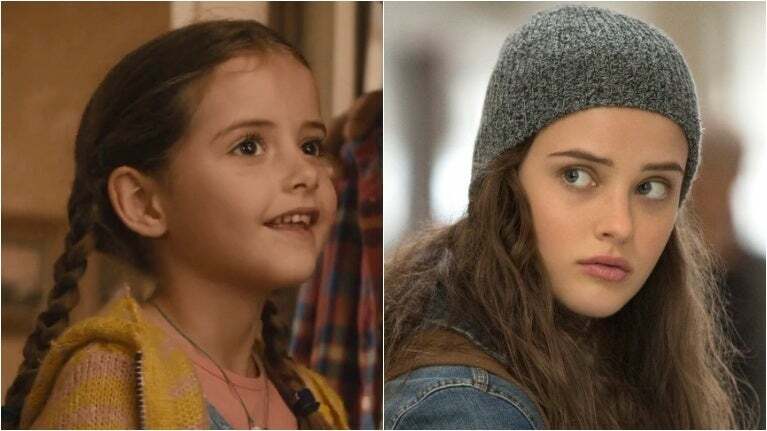 Another possibility is an aged-up Lila Barton (Imogen and Isabella Poynton), daughter of Clint Barton (Jeremy Renner), who was revealed in Avengers: Age of Ultron to be living in a sort-of witness protection backed by S.H.I.E.L.D. super-spy Nick Fury (Samuel L. Jackson) to protect Barton’s family from Hawkeye’s enemies. Avengers 4 set photos revealed Renner would be returning to the franchise with a revamped look and with the Ronin costume, suggesting the Barton family may have been annihilated by the same Infinity Stone-powered snap from Thanos (Josh Brolin) that wiped out half of all life in the universe, resulting in Hawkeye’s transformation. Other set photos have since hinted at the involvement of time travel, which could allow for Langford to play an older Lila. Langford also bares a resemblance to Cassie Lang (Abby Ryder Fortson), daughter of Ant-Man (Paul Rudd). 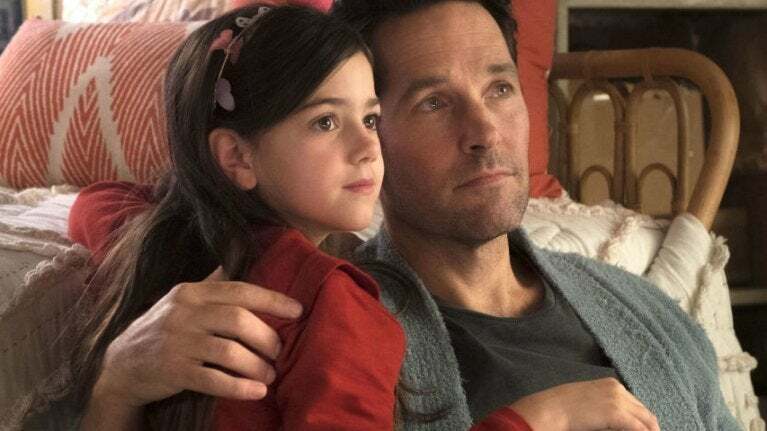 In April, 17-year-old actress Emma Fuhrmann was reportedly cast as a teenaged Cassie Lang, further suggesting a plot involving time travel or a significant time jump. Avengers 4 has since been rumored to pick up five years after Infinity War. Unless Avengers 4 undergoes two hefty time skips, it’s unlikely Langford has ties to Cassie, who in the comics follows in her father’s footsteps and adopts such superhero identities as Stature and Stinger. Infinity War saw Tony Stark (Robert Downey Jr.) tell fiancée Pepper Potts (Gwyneth Paltrow) he had a lifelike dream where the pair had a child, named after Pepper’s “eccentric uncle” Morgan. Stark dreamed of a boy, but time travel — or alternate reality hijinks — could reveal Langford as Morgan Stark, Tony and Pepper’s daughter. Another possibility could see Langford portraying a female Loki, the resurrected version of Loki (Tom Hiddleston), the demigod trickster and adopted brother to Thor (Chris Hemsworth) who was killed by Thanos in the earliest minutes of Infinity War. The comics saw the fulfillment of Ragnarok — the prophecy that would destroy Asgard and kill the Asgardians as part of a cycle of death and rebirth — which claimed Loki’s life. Loki was then resurrected as a woman, before dying again and being subsequently reborn in yet another form dubbed Kid Loki. 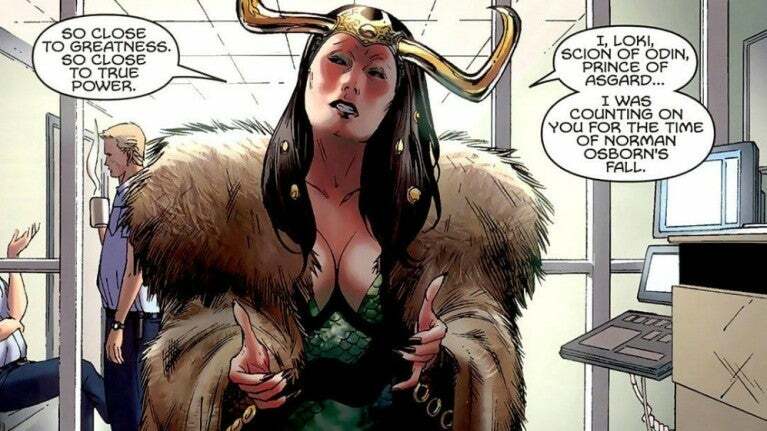 Hiddleston, who was spotted in set photos reprising his role in a sequence that sees Earth’s mightiest heroes revisit the Battle of New York as seen in 2012’s The Avengers, recently said a female Loki should be played by someone else, given the character follows the comic book trajectory. The comics saw Thanos, in possession of the Infinity Gauntlet and all six Infinity Stones, create a powerful partner in his likeness named Terraxia, who helped the Mad Titan destroy the avenging heroes who opposed him. Avengers 4 could see Thanos create Terraxia to replace his children, the Black Order, all of whom were killed in battle during Infinity War. 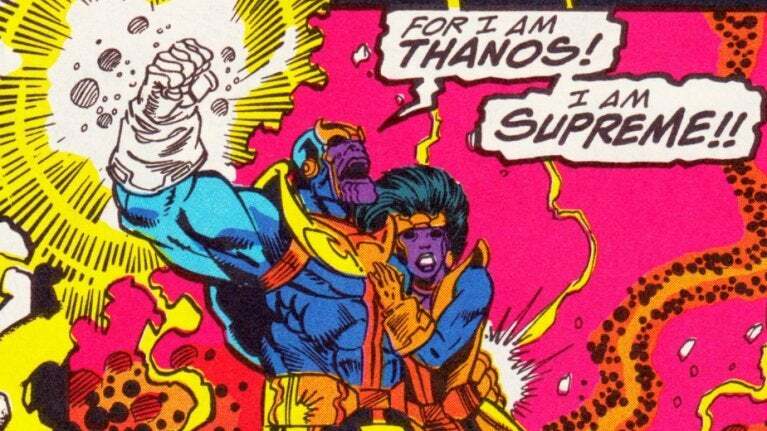 The villain met her end during the Infinity Gauntlet storyline, when a vengeful Nebula used the stolen Infinity Gauntlet to undo the deaths caused by Thanos and his cronies before ultimately banishing Thanos and Terraxia into deep space, where she suffocated. Slide 7 of 7Rescue A.I. Langford could voice the artificial intelligence contained in the suit of armor to be worn by Pepper, who in the comics suited up as Rescue. 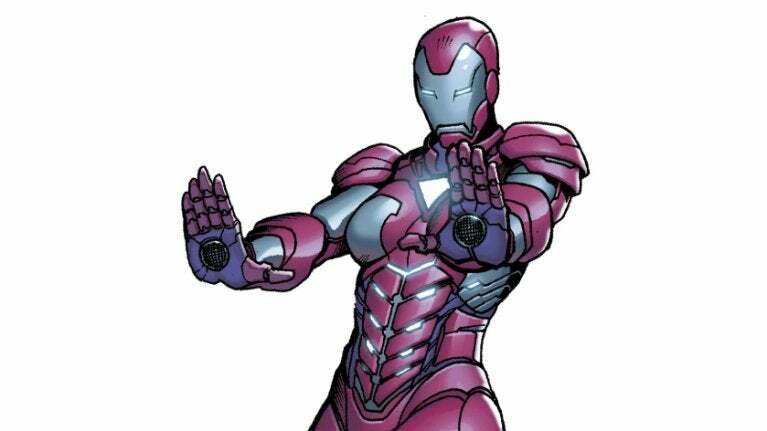 Paltrow was confirmed to don her own suit of armor when a picture surfaced showing the actress in her own purple-ish Iron Man suit. Marvel has previously tapped noteworthy actors and actresses for voiceover roles: Paul Bettany voiced J.A.R.V.I.S., Tony Stark’s A.I. “butler” that eventually emerged as Vision, while Kerry Condon (Better Call Saul) voices new interface F.R.I.D.A.Y. and Jennifer Connelly (Hulk) voices Karen, the interface embedded in the high-tech Stark-crafted suit sported by Spider-Man (Tom Holland). Miley Cyrus (Hannah Montana) made a cameo appearance in Guardians of the Galaxy Vol. 2, where she voiced the robo-Ravager known as Mainframe.